Today marks the 28th anniversary of the Morris Worm, which devastated large portions of the nascent Internet on November 2, 1988. Even though it was unleashed nearly three decades ago, it was more advanced than the Mirai worm that compromised hundreds of thousands of IoT devices in recent weeks. 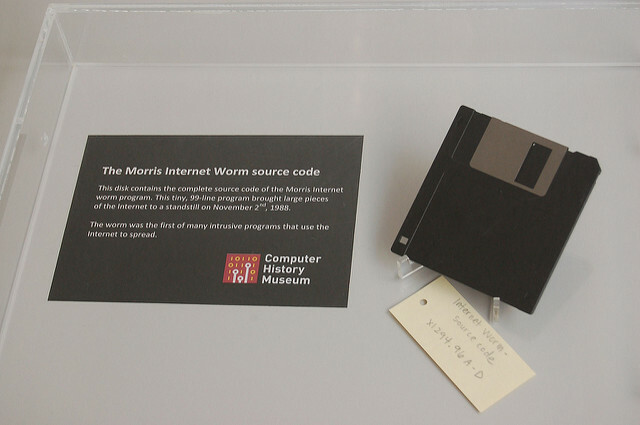 The Morris Worm source code on a floppy disk was on display at the Computer History Museum in Mountain View, Calif. Photo licensed under Creative Commons from Intel Free Press, © 2013.